A Revolution Can Start In Your Life With A Small Choice That Feels Fantastic! It’s why I still fit in clients even when I don’t technically have the time: I love that feeling of a total makeover in a short span of time. But, then I remind myself afterward and remind my clients all the time— it’s the progressive steps that build the makeover. Lasting change is build over time. It doesn’t have to be a long time to make a big change, because some changes are ripe for the picking. They’re due or overdue and they fly effortlessly. But if it’s rushed along, that connection and practice and feeling of unfolding gets hurried and confused. Overwhelm sets in. That joy gets submerged in too much to do and wanting it all instantly. It’s the small things that can lead to the most surprising transformations. It’s why I still get a bolt of inspiration to write the blog and share all the stuff I’ve discovered along the way, because I know that sometimes a small idea or any idea that’s put into practice that feels good can start a positive revolution. I’ve been doing small things to shift things (along with some big ones that organically have evolved!) and today I’m all about the power of these baby steps and seemingly small but monumental decisions! 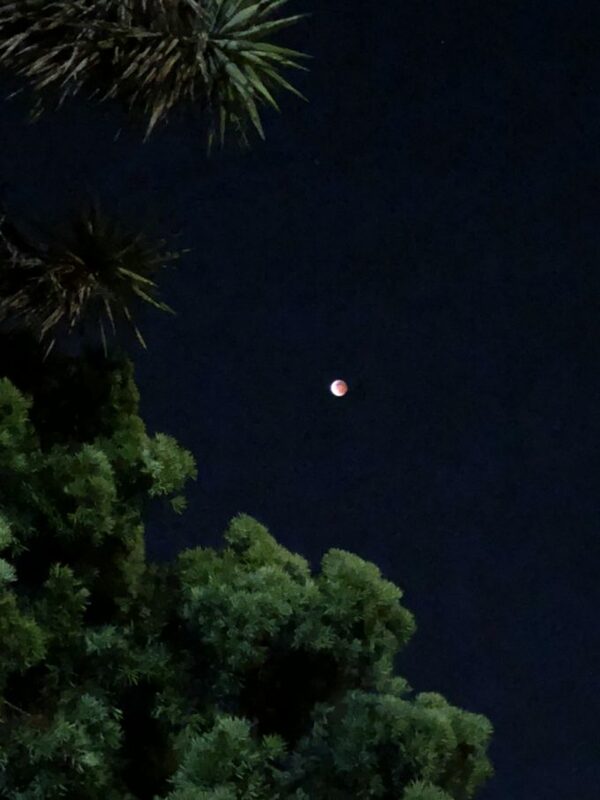 As I write this, the energy of the Leo Full Moon Eclipse that was RED and ridiculously magnificent is resounding in the air. There felt like an urgency to make big decisions, to do all these new things, to find some wormhole in the universe, a vortex that would bring a whole new energy to life. Instead of all these big things that didn’t interest me in the moment, after my house was cleaned and my inbox was cleaned up, too, I sat and looked at the moon start to become eclipsed and soon after, turn this pink and deep rose color. I had all this anticipation and what came from this day was actually more revolutionary than ever. I realized a small thing that was holding me back in an enormous way. I saw that I had been holding myself back by not leaving space in my mind. I stopped trying so hard and finished my prayers with random thoughts sorta moving in and out of my mind. I didn’t leave a podcast running in the background while I took a bath. I went to bed without reading a book. On this night at home under this big red moon, I didn’t make wishes or set goals. In the morning, I found a solution to a situation easily. I still feel like I’m floating. It’s far more quiet. I’m headed out for a long walk. I already know that this small thing I realized was in my way will lead to incredible things. I feel it. I feel the energy flowing in a way that has me nearly vibrating with inspiration. 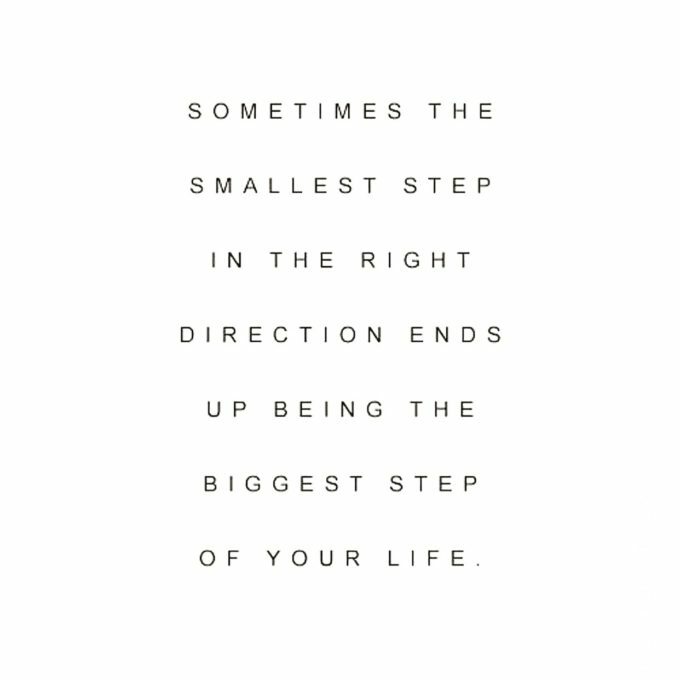 There are so many small decisions and small steps that I can see have turned the last five years into a magic carpet ride a whole lot of the time. A while back, I took Anita Moorjani’s advice and put a sticky note on my computer that said, ” I listen to my inner guidance and trust what it says to me.” I thought it was worth trying. I didn’t know it would lead to making the best decisions about my life, my wellness, my friends and family, my creativity and so much more. A few years ago, I said YES to an invitation because I needed to get out of my house more and I didn’t realize that one person that I met would teach me so much that I needed to know. Six months ago, I bought a book because I kept seeing it everywhere and gifted it to a loved one. I didn’t know it would transform their health and life completely and mine in the process. A small step — starting a Tumblr blog 12 years ago– evolved into a career bigger than I could have ever imagined… and it’s always getting better. There’s magic in the small things. The new pillows. The vitamins or class of water with lemon juice in the morning. The small walk. The new class. The decision to do nothing when you’re tired. The decision to slow down more when you’re rushed. All of this isn’t tossing your life upside down. It’s easy stuff. If we all took one simple step for the planet, one eco-friendly small shift, that’s billions of times the positive impact. If we all decided to smile at strangers, the world would be billions of times more welcoming. But, even if we are the only ones making a small decision, the impact is still resounding. Every big thing I have ever done started with a small step. I am excited I found a new small step, a new bit of clutter to let go of. There’s always another one, and another! Feng Shui To Completely Close The Door On Everything You Don’t Want! Previous post: Sustainability Is Life-Changing Prosperity Energy!!! Next post: 20 Simple Sustainable Ways I’ve Adopted A Low-Waste Lifestyle!